Larissa Muldoon picks up her second players player nomination. The women’s All Ireland League got back in action this weekend for round 10 of the competition. Check out our gallery and report from Old Belvedere v Cooke here. Galwegian’s Denise Redmond sits second in the leading points scorers table. A total of 99 points were score this weekend, with 16 different points scorers. Railway account for 62 of these points and 8 of the scorers. This brings the total points scored to 1,185 points overall in the league, with 182 tries, 91 conversions and 31 penalty kicks. Railway have score the most points scored so far with 252. UL Bohemians, who were out of action this weekend, scored the second most points on 238 and Blackrock have scored the third most with 215. 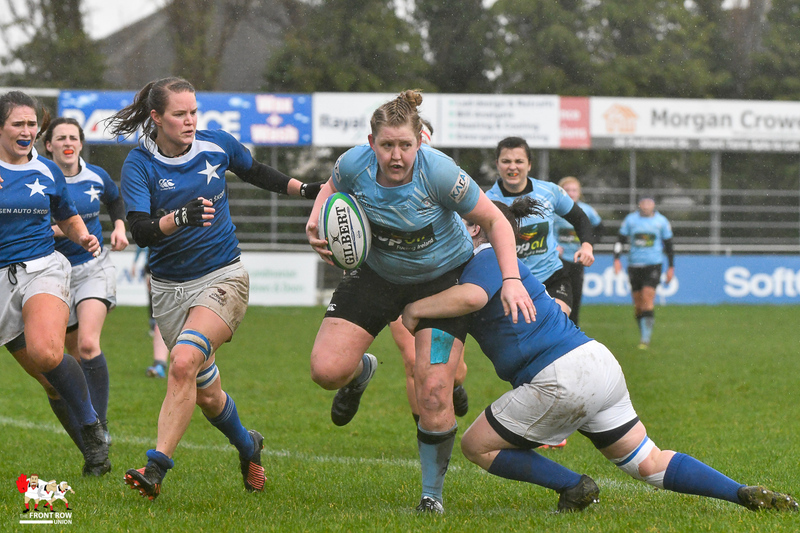 UL Bohemian’s Niamh Briggs still has the most points scored with 69 points, and Galwegians Denise Redmond closed the gap this weekend and now sits in second on 57 points. Blackrock’s Hannah O’Connor, who is out during the international window, remains in third on 42 points. After this weekend, Emma Taylor and Denise Redmond, join Linda Djougang at the top of the try scorers table with 6 tries each. However, there is now 7 other players on 5 tries each. Old Belvedere’s Nora Stapleton picks up a second players player nomination this weekend. Three players pick up their first Player’s Player nomination this weekend, Cooke’s Maeve Liston, Railway’s Larissa Muldoon and Blackrock’s Ellen Taite. Old Belvedere’s Nora Stapleton, St Mary’s Aoife Moore and Galwegian’s Denise Redmond all received their second nomination of the season. From the re-fix game between St Mary and Blackrock, Ciara Scanlan and Ali Coleman, picked up their third and second nomination respectfully.